Some of the most challenging studies for medical devices today are in the interdisciplinary research on advanced material processing, biology/chemistry of interfaces, physics for design/manufacturing (i.e., microfabrication), in-vitro/in-vivo tests, and clinical trials. Current research focuses are on designing, manufacturing, and testing of medical devices (1) to treat critical vascular diseases, (2) to monitor physiological condition alterations, and (3) to increase the number of organs for transplantation. This presentation shows several implantable medical devices developed either using bulk or thin film nitinol. A Low-Profile Thin Film Nitinol Covered Flow Diverter to treat Cerebral Aneurysm: Cerebral aneurysms occur in up to 5% of the population, with each aneurysm carrying a 1% risk per year of rupture, which accounts for about 50% of mortality. A low-profile thin film nitinol covered flow diverter was designed, fabricated, and subsequently tested to reduce the intra-aneurysmal blood flow. The work includes in-vitro and in-vivo hemocompatibility and inflammatory studies with superhydrophilic surface treated thin film nitinol, microfabrication of the hyperelastic thin film nitinol based on Finite Element Modeling, fluid dynamic investigation of devices, in-vivo swine tests, and histopathology. The in-vivo test results demonstrated a rapid occlusion of the wide-neck aneurysm sac within 70 or 10 min depending on the type of devices, generating a minimal amount of neointimal layer. An Ultra-Stretchable Flow Diverter System to Monitor Cerebral Aneurysm Hemodynamics: One of the major drawbacks of the endovascular therapy for cerebral aneurysm, especially new flow diversion technology, is the unpredictable rate of occlusion, which requires long-term angiographic surveillance and carries the high risk of delayed hemorrhage and rupture. To address this issue, a novel ultra-stretchable flow sensor has been investigated to monitor the hemodynamics alterations by integrating with flow diverters. An array of thin membrane based capacitive sensors were designed, fabricated, and assembled with flow diverters for quantitative monitoring of intracranial aneurysmal hemodynamic alterations. Our results reveal initial feasibility in vitro for the sensor-embedded flow diverter to demonstrate the reliability of the sensor performance in cerebral aneurysm flow rates. An Organ Perfusion Stent that Improves Organ Perfusion in Donation after Cardiac Death: Because the critical shortage of donor organs is a major obstacle to organ transplantation, we’ve developed a novel nitinol organ perfusion stent that will not impacting the natural cardiac death of the consented donor. Our results reveal initial feasibility for an organ perfusion stent to: (1) be delivered using minimally invasive endovascular sheaths, (2) be deployed without significant changes in cardiac physiology, and (3) successfully maintain oxygen delivery to abdominal organs. Various pioneering implantable medical devices have been developed using both bulk and thin film nitinol shape memory alloy materials. Results on the experiments conducted with in-vivo porcine model, cadaver, and in-vitro flow loop have successfully demonstrated the feasibility of the devices. Dr. Chun is an Assistant Professor, Department of Industrial Engineering, Swanson School of Engineering, with a secondary appointment in Department of Bioengineering and Clinical and Translational Science Institute, as well as in McGowan Institute for Regenerative Medicine at the University of Pittsburgh. Dr. Chun obtained his BS from Inha University (South Korea) in Mechanical and Aerospace Engineering and obtained his PhD in Mechanical Engineering at UCLA in June 2009 working on the development of biomedical devices to treat vascular diseases using smart artificial materials through minimally invasive surgery. He worked as a postdoctoral researcher in UCLA's Mechanical and Aerospace Engineering Department's Active Materials Laboratory and UCLA David Geffen School of Medicine’s Center for Advanced Surgical and Interventional Technology for two years after his PhD. 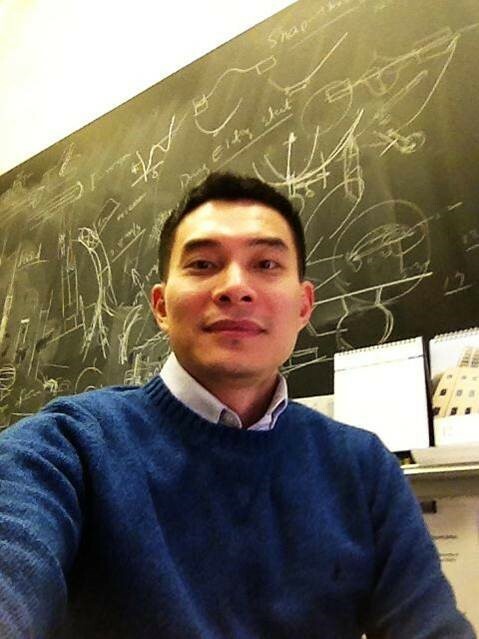 Dr. Chun was a recipient of UCLA’s 2010 Chancellor's Award for Postdoctoral Research, ASME and SPIE Best Paper Awards. Dr. Chun has developed various metallic biomaterial-based endovascular devices for treating brain/aortic aneurysms, cardiovascular disease, peripheral arterial disease, vascular injuries and trauma. Dr. Chun's current primary research interests include artificial smart biomaterials, bio-hybrid composites, endovascular devices, diagnostic vascular implants, and micro-bio-systems, as well as fundamental device-associated biocompatibility and development of experimental methods.